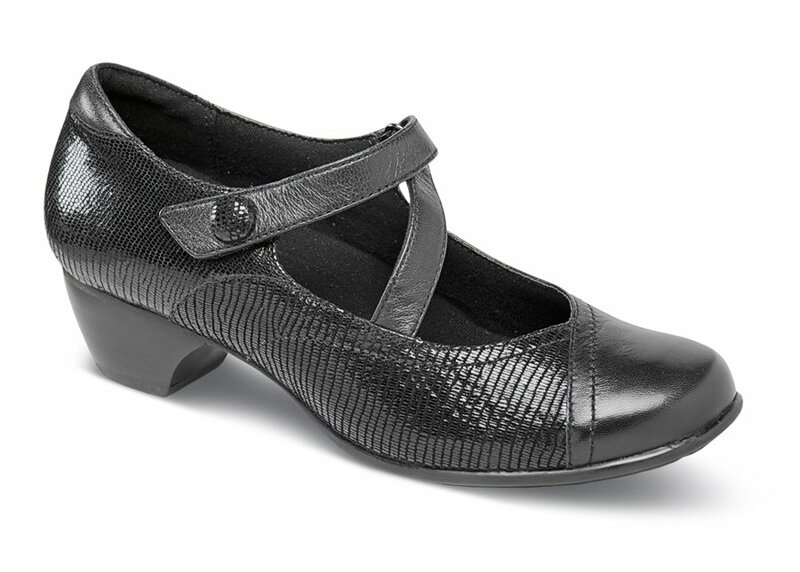 Aravon's low-heel black "Portia" dresses up a V-strap mary jane pattern with reptile-print detailing. 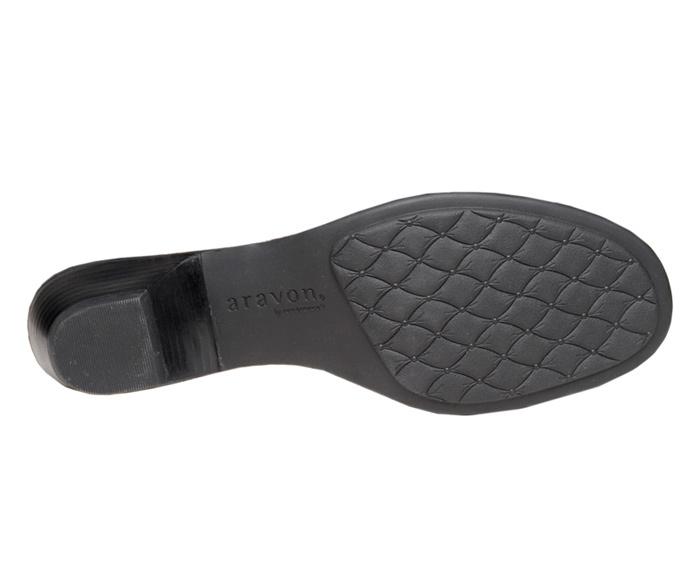 Like the other styles in Aravon's Provence collection, it has moisture-wicking Dri-Lex® linings, a removable molded EVA and Memory Foam footbed with built-in "stability cradle," a steel shank and a rubber outsole with Gel Pad and 1½-inch heel height. Women's sizes 6½–10, 11 and 12 in 2E width. Limited sizes available.